Uniden DFR5 Super Long Range Radar / Laser Detector | BUDK.com - Knives & Swords At The Lowest Prices! 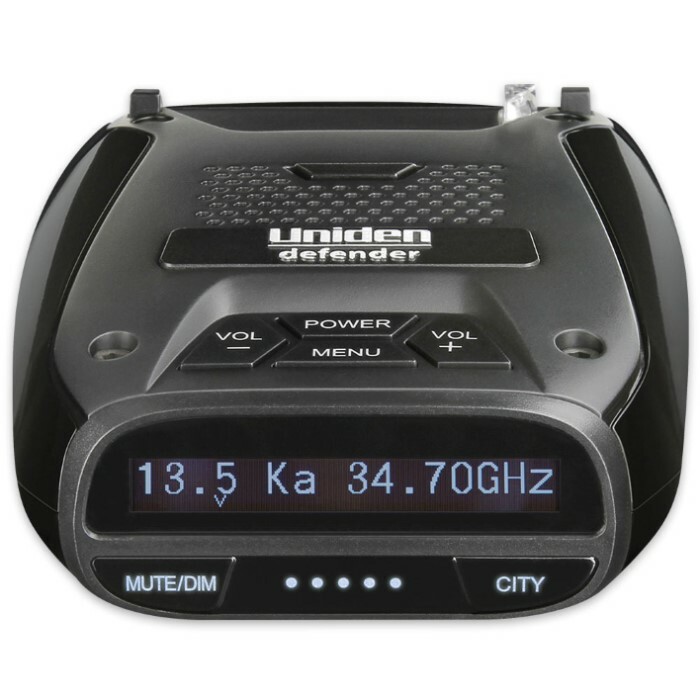 Professional reviewers have compared Uniden's incredible DFR6 Super Long Range Radar / Laser Detector to units that sell for twice the price. Try it once, and it's easy to see why - the feature-packed DFR6 performs at a level that's undeniably top of its class, yet its operation is straightforward and user friendly. 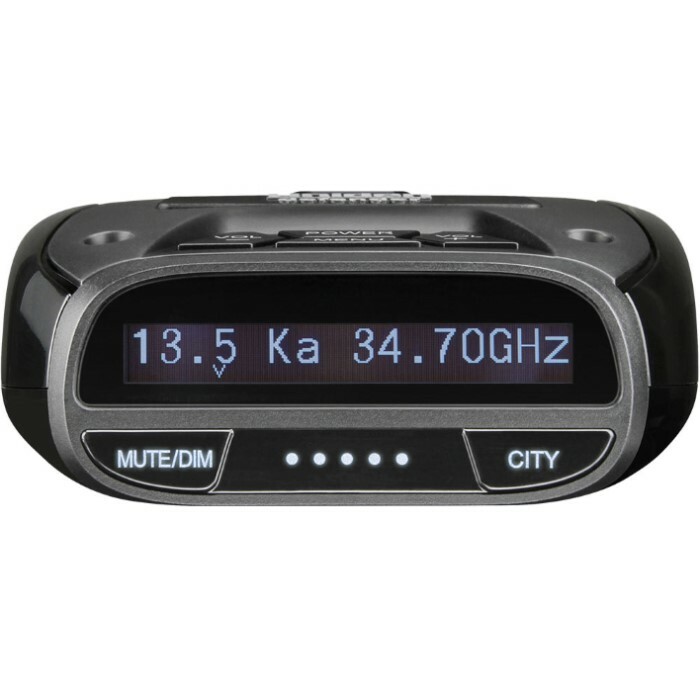 Like most radar detectors, the DFR6 recognizes the four different bands employed in modern speedclocking devices - X, K, Ka and laser. When such signals are detected, the DFR6 sounds an alert (optional voice and onscreen text alert settings); the corresponding band symbol/letter appears on the easy-to-read OLED display, along with frequency and signal strength. The DFR6 is sensitive enough to pick up radar and laser activity from an extraordinarily long range. Unlike many other hypersensitive radar detectors, however, the DFR6 won’t constantly “cry wolf” with annoying false alarms triggered by background “noise” from radar devices other than speedclocks. This is due in part to the DFR6's advanced K filter and multiple city and highway modes. These specialized modes automatically adjust detection parameters to suit unique environments, yielding quicker, more accurate detection and less unwanted noise. Want to listen closely to a quiet talk radio broadcast, or just plain sick of hearing alerts? Press the "mute" button and problem solved. Attach the sleek black DFR6 unit to your dash or windshield with the included suction cup mount. 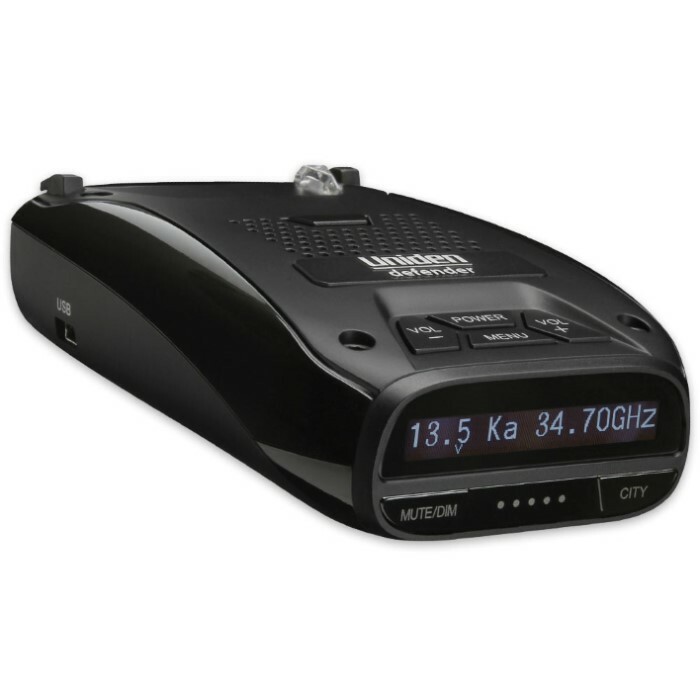 Uniden’s DFR6 Super Long Range Radar / Laser Detector also includes a cigarette adapter and USB cable.